In 2007, Skanda Vale became the focus of an intense political debate about the sanctity of life. Shambo, a bullock under our care, tested twice ‘inconclusive’ to bovine tuberculosis. Under current legislation he had to be killed, with no chance for treatment. Our religious duty is to serve the Divine in all of life, so we were obligated to defend these rights in court. The story became national (and in some places international) front page news. During the case, we installed a webcam inside Shambo’s pen, broadcasting live pictures around the world. There was also an online petition, which ultimately received over 18,000 signatures. Below are excerpts from a blog we ran to raise awareness about Shambo’s case and give updates to the press and public. Shambo one of our Temple bulls has tested positive to a routine Bovine Tuberculosis (TB) skin test. This means that he is suspected, not proven to carry Bovine TB. The current policy of DEFRA (Department for Environment, Food and Rural Affairs) is to kill any animal suspected of carrying Bovine TB. Shambo is in a very healthy condition. If TB does develop in him, he can be expected to make a full recovery, given appropriate care. 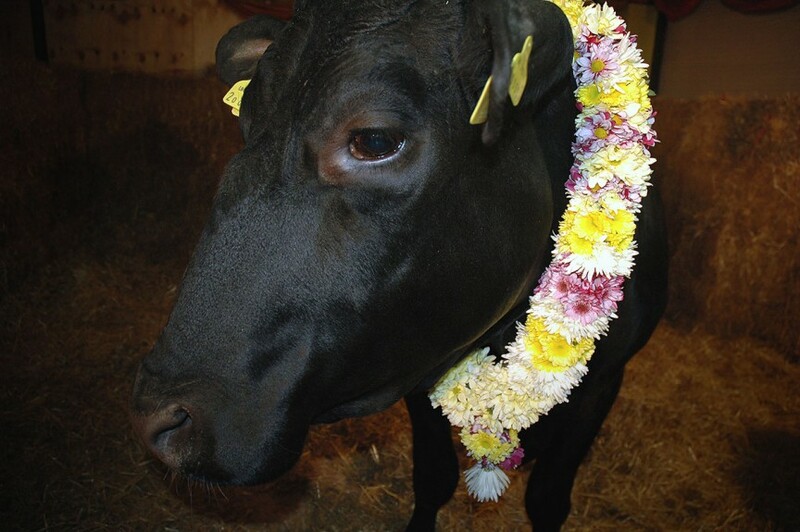 As a responsible organisation we have sought professional veterinary advice to ensure that the measures we are taking are robust and appropriate to minimise any risk of possible spread of disease either to other animals in our care, other farm animals, wildlife, the members of the Community involved in direct animal husbandry, or members of the public visiting the Community for worship. We understand and appreciate DEFRA’s position, with regards to public health and containing the spread of TB with the view to eliminate it from the national herd. We have been advised by our solicitors that there is provision both within the Animal Health Act 1981 and the more recent TB order Wales 2006 for permission to treat and vaccinate any animal identified as having TB, with the prior consent of the minister for the national Assembly of Wales. If we were to permit DEFRA to kill Shambo it would be an appalling desecration of life, the sanctity of our Temples and Hinduism as a whole. We could no more allow the slaughter of Shambo than we could the killing of a human being. Ultimately we would be willing to defend his life with our own. We sincerely hope and pray that the officials at DEFRA will respect, not desecrate, the Hindu religion, the sanctity of Shambo’s life and Skanda Vale’s holy Temples. If DEFRA decide to desecrate the Hindu religion and try to kill Shambo, we exhort all those who support the Temple and Sanathana Dharma to come to our assistance.